Recommendations to prescribe medications to lower cholesterol and a diet that severely restricted fat intake are no longer scientifically or morally defensible. As discovered a few years ago, artery wall inflammation is the real cause of heart disease . How spot on that article is! What causes arterial plaque is inflammation in the artery walls. Cholesterol attaches itself to injured and inflamed areas of the arteries as part of the body's natural repair system. Without inflammation, there would be no arterial plaque. Statin drugs are designed to lower cholesterol by suppressing a liver enzyme which helps the body produce cholesterol with the theory being that lower cholesterol will result in less plaque. However, cholesterol is needed by the body (as is the vital Co-enzyme Q1o which statins also suppress). As I have found, and am in the process of writing a new article expose' about, statin drug benefits - such as they are - likely come not from reducing cholesterol but rather from reducing inflammation - and mainstream medical science has known about this for years. Of course, the catch is that there are several natural and much safer ways to effectively lower inflammation - such as curcumin, members of the ginger family, omega 3s, etc. But you can't patent nature and thus the whole cholesterol myth has been created and perpetuated largely to sell statins and other drugs. Likewise, there are safe and natural ways to eliminate and prevent arterial plaque as well as natural ways to lower cholesterol should one so desire. "A brief discussion of the high cholesterol myth and the dangers of statin drug"
"The Truth about Lowering Cholesterol"
"The truth about blood pressure and the dangers of blood pressure medicines"
(FR)ESST MEHR FETT ! - EAT MORE FAT !! No Wolf, just don't neglect eating some healthy fats and avoid junk foods and most other items which make up the bulk of the SADS diet. And by all means stay the hades away from statins! i take absolutely zero mainstream drugs and pretty much have not done so for a great many years. I know of virtually nothing a mainstream drug can do which cannot be done better and more safely naturally. 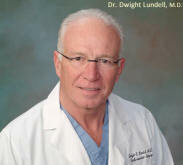 Dr. Lundell�s article has received huge attention and it has caught the eye of the news media. It touches on a number of important issues concerning cardiovascular disease in general. To me the article unfortunately appears a bit like it is written by a preacher or a politician who has to sell a message whatever the costs. The article lacks the professional approach of a scientist who carefully examines available scientific data before drawing conclusions. This guy has been discredited, struck off the medical register in fact for improper patient care. He has since served in medical advisory roles for dubious pharmaceutical treatments and been bankrupted to the tune of $20,000,000. If he's wearing his credentials so up front in his article and hiding his very dodgy past, that signals to me that he's being disingenuous. Yes he threads pieces of truth and new research into the article, but he also throws in wild leaps that are non-scientific and draws conclusions that might fool a new age healer - but scare scientists and other physicians. Very irresponsible article and irresponsible journalism to reproduce it with no background research and no rebuttal. Can he legally lend his medical credentials to articles now that he's disallowed from practicing medicine? Dangerous advice loosely based on a single aspect of a very complex issue with a glaring lack of scientific rigor. @tony - are you aware of a natural alternative to statins that deals with the body's self-produced cholesterol. Assuming someone has a family history of high cholesterol and heart desease, and has tried a vegan diet with little effect; do you know of anything better than statins to prolongue health and life? And are there any clinically proven alternatives? When natural substances do the job, they are incorporated into medicine - hence Aspirin. My current position is that this was an extremely irresponsible article and that your comments have added to its credibility. Advising people to stay away from statins with no medical background or understanding of why that person may have been prescribed statins by a medical professional is akin to the fake medical intervention of a faith-healer. It's dangerous, naive and totally irresponsible. Yes, there are some stupid things going on in western medicine, here and there, but that does not justify a blanket condemnation or conspiracy theory or medically naive advice that encourages people to stop taking their medication. This ex-doctor was struck off for malpractice, he's a con-man who has backed all sorts of irresponsible, medically irrational, claims and who has been ruined because of it. Just because you started out with a mistrust of western medicine does not mean that everything you read or hear that seems to back up this viewpoint is accurate. Just as it would be wrong to assume that because the statins worked well that I should accept antibiotics for a common cold. The world has many shades of grey. Just one aspect of heart desease is inflammation, writing off all the other factors would be like wearing a seatbelt but having no brakes. Actually telling people to trust the belt and disconnect their brakes is naive logic based on a prejudicial opinion and a stubbornness to accept rational argument. Don't do it people: instead take this article with you to see a medically qualified person whom you trust and have it ripped apart for the sales-pitch pseudo-science that it is. Since the main statin, Lipitor, came off patent, I'm not sure who's supposed to be manipulating the data from extensive clinical trials to push people to over-subscribe and over-use statins. Who stands to gain anything? Exercise, cut out processed food and easy carbs, eat organic where it matters, limit the booze and cut the cigarettes. If your cholesterol still stays high, add a statin to your diet. Just as you can't patent nature (it turns out under a recent US ruling), you can't patent Lipitor either. It's off patent, it's expired; anybody can make it and nobody's making much out of it. It was a blockbuster not because of some giant conspiracy, kept secret by medical science and exposed by a quack; it's a blockbuster because it was one of the most amazing drugs ever produced. High tolerance, low side-effects, huge efficacy. Responsible for extending a quality life to countless people. The main premise here is that all of medical science (since it is supposedly widely understood) is lying to you in order to sell a highly profitable drug that isn't needed and, in fact, causes more harm than good. But the drug is no longer profitable and it has massive clinical trial evidence to show that it's both effective and relatively harmless. To balance this we have an article written by a man who's been struck off the medical register and who has been associated with several "snake oil" wonder drugs, all of which failed to pass any clinical testing or, in the case of naturally occurring substances that don't require clinical trials, failed to show any efficacy. He's a cuckoo of the highest order - and that's being polite, since he might actually be a highly aware con man, preying on the belief systems of people already wary of western medicine, flashing a few credentials and some well known facts and mixing in a dose of made up quackery to an audience that isn't qualified to spot the difference. I suspect it's a sliding scale of arrogance, from the gruff professional through to the dangerously narcissistic whose proverbial feces doesn't smell. When you come across someone who has exhibited several traits to demonstrate this, be extremely cautious. People who are rejected by their professional colleagues, people who lose millions trying to sell discredited products, people who write off massively regulated clinical trials and reverse them with anecdotal evidence or unsubstantiated claims, people who claim to be able to "see" microscopic evidence with the naked eye... Wearing your credentials on your sleeve, even though you were struck off for malpractice, and then pitching to the uninformed that all the other surgeons got it wrong and only I got it right - these are the actions of someone who thinks he has always been right, regardless of evidence or reason. Why? To sell a book and, perhaps coming soon to a quackery near you, to sell some sort of vegetable-based snake oil, which requires no clinical trial as it's naturally occurring. Get real. I'm not a physician nor am I associated with any pharmaceutical company, but I am scientifically trained and I can smell BS from a mile away. You don't ask Bush for foreign policy advice, you don't leave your life savings with Madoff or leave the kids with Jimmy Savile - so don't flush your drugs away on the advice of quack. If you aren't in a position to determine what's genuine good medical advice and what's made up nonsense just to sell a book, I'd recommend avoiding this article, it is filled with all the signs of deception. Jeff P. Do you have any reference to this discrediting? Where did you hear this? There are several and they rely on public record. For me it was the support of Rush Limbaugh that caught my attention. I've never known him back a winner, he simply backs anything that sounds controversial/sensational or right wing. Invariably when one man stands up and says "all of medical science is wrong but I am right" he is selling snake oil. Look at the faked results that led to the MMR/autism connection. There is no conspiracy, certainly not one agreed by all the world's medics. That's what he's up against: All the other doctors versus this guy. In interviews he allows himself to be introduced as a current expert practicing medicine. But this does not fit his actual position or the public record. Usually speaking, anyone who overstates his credentials to try to gain undue respect is about to sell you a lie... or, in this case, a book with lies in it. There's an odd thing going on here and it's a recognizable pattern - the target audience for this book is a group of people who already distrust western medicine. As a group they have been up against it forever, struggling to be heard above the well connected, highly qualified, medics who support and are trained in western medicine. Any well put together article that seems to finally back them up is attractive (see MMR/autism debate). But the thing they really go for is a turncoat: an insider who stands up to say that western medicine got it wrong. The very figureheads whom they fought against become the best allies. I'm not a particularly vindictive person but when someone uses fake credentials (including failing to say that they were struck off by a panel of their peers after several warnings and sanctions) then it seems fair that this is exposed. He's not the Messiah; he's a very naughty boy.